plus a £100 OFF Special Offer! It’s a fact that not everyone has perfectly white teeth. But it is also true that most people who don’t, wish that they did. The good news is that with the latest cosmetic dentistry and teeth whitening procedures now available at Carisbrook Dental you can! There are two main reasons why your teeth may not be as white as you would wish. One is your genetic make-up that has predetermined that your teeth will have a grey rather than a white appearance. The second reason is possibly your lifestyle and teeth can become discoloured through, amongst other things, drinking tea and coffee, red wine and of course smoking. Don’t worry; at Carisbrook Dental we can, in most cases, help to provide you with that gleaming white smile you’re looking for. If you have minor surface stains bleaching may not be required Our Airflow machine is very quick, very gentle and it operates by blowing a combination of air and sodium bicarbonate onto the teeth to produce a much whiter appearance. Many patients now arrange to pop in for a quick ‘freshen-up’ before important occasions. To whiten naturally discoloured teeth we recommend one of our bespoke bleaching solutions. With our Bleaching system we provide a bespoke ‘tooth tray’ that contains a very safe and non-destructive solution of Hydrogen Peroxide. You use this at home at a time to suit you to produce the level of whiteness you want. A word of warning. Some over the counter teeth whitening products can be harmful. If you see a cut-price offer that looks too good to be true … then it probably is. Also, recent legislation has now made it illegal for anyone other than a qualified dentist to provide teeth whitening treatment. For teeth that have become discoloured through drinking tea, coffee, red wine and smoking etc, we provide three different options. destructive bleach that you can use at home. Pros: It is quick, cheap and easy to apply at a time to suit you. Cons: You have to do it yourself. Laser Whitening/Zoom Machine. We use the power of the Laser Lightening system in our clinic to create the degree of whiteness you’re seeking. 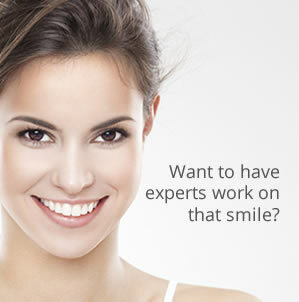 Pros: It is quick – approximately 1-hour and it is administered by our expert dental team. ‘Enlighten’. Brand new from the USA, this is our latest and most advanced teeth whitening process. We provide a bespoke vacuum made ‘tooth tray’ complete with a supply of ultra-safe, non-destructive teeth bleach for home application. Pros: This is probably the best teeth whitening treatment you can get and you can choose when you do it at a time to suit you. You can also decide on the level of whiteness you desire. For lifestyle discolouration this treatment is very quick, although it can take a little longer for genetic discolouration. Cons: You have to do the bleaching at home and can take 2-weeks. OUR SPECIAL OFFER – £100 OFF! Contact us for advice on teeth whitening and to discuss your preferred option and take advantage of our limited special offer.